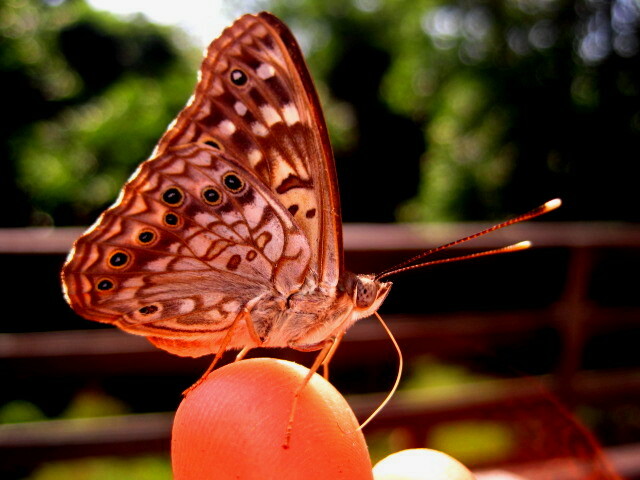 Eileen Schaeffer sent me this great shot of a hackberry emperor on her finger. This species loves to sup on salt and this individual is no exception: check out the unfurled proboscis. This entry was posted in Butterflies on June 6, 2011 by David George Haskell.